Two very different films are on the menu for a 24th September release from UK distributor Artificial Eye in the shape of Gereon Wetzel's El Bulli, a documentary portrait of famed chef Ferran Adrià, and Rien ne va plus, Claude Chabrol's 1997 thriller starring Isabelle Huppert. 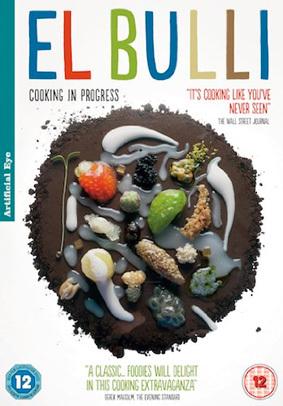 Also known more descriptively as El Bulli: Cooking in Progress, Gereon Wetzel's documentary was described by Jeannette Catsoulis in The New York Times as "A treat for chefs and foodies. [Chef Ferran Adrià] is a culinary magician who strives to please the eye, nose and emotions as much as the palate." No extra features have been listed on the press release, though that doesn't mean there are none – Artificial Eye press releases are notoriously coy on this detail. 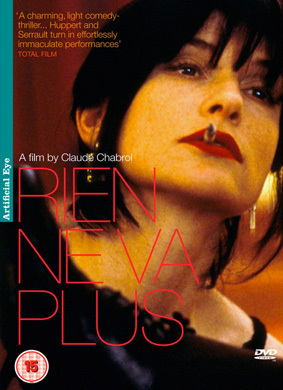 The 50th film from legendary French New Wave writer and director Claude Chabrol is a typically Hitchcockian comic thriller about a pair of con artists embroiled in a dizzying array of double-crosses. Up until now, Betty (Isabelle Huppert) and Victor (Michel Serrault) have contented themselves with scamming small fry hotel conventions. The ever flirtatious Betty however has bigger plans. One in particular involves a briefcase containing five million Swiss francs of syndicate money. Before long Victor becomes suspicious of Betty's solo pursuits. Is his once-loyal partner betraying him? And what of Maurice, the owner of the briefcase, and his gangster bosses? Chabrol directs this sleek, shadowy caper with wit and masterful restraint. We were only able to track down a French trailer for this one, so there are no English subtitles. And, no extras have been listed. El Bulli and Rien ne va plus will be released individually on UK DVD by Artificial Eye on 24th September 2012 at the RRP of £15.99 each.